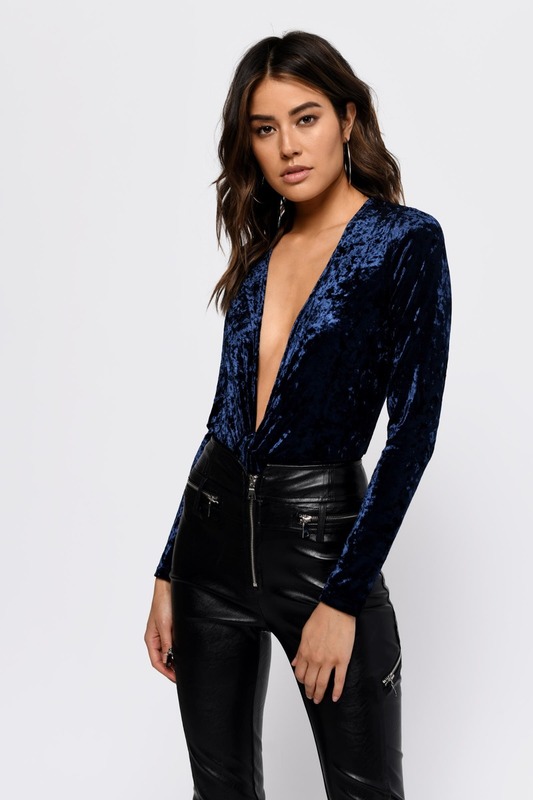 Check out Tobi's Knot Yours Velvet Bodysuit Ready to take the plunge? 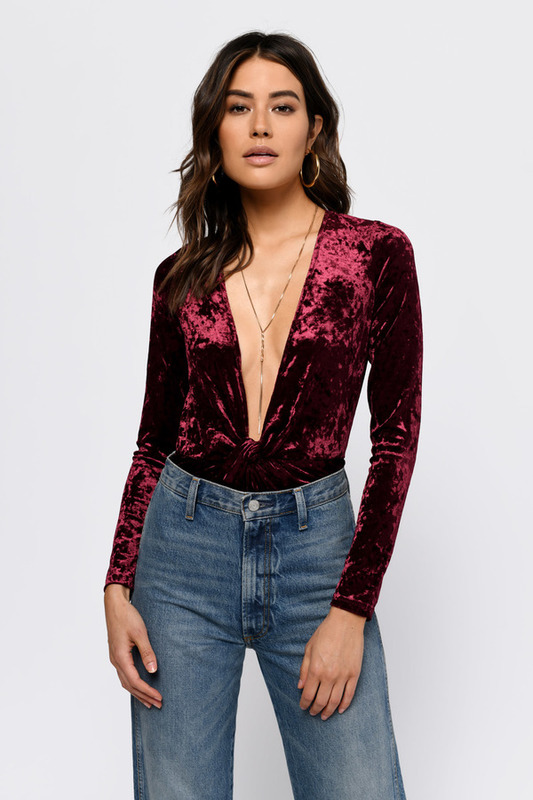 The Blush Knot Yours Velvet Bodysuit has a v neckline that goes down all the way to the knot detail at the waist. 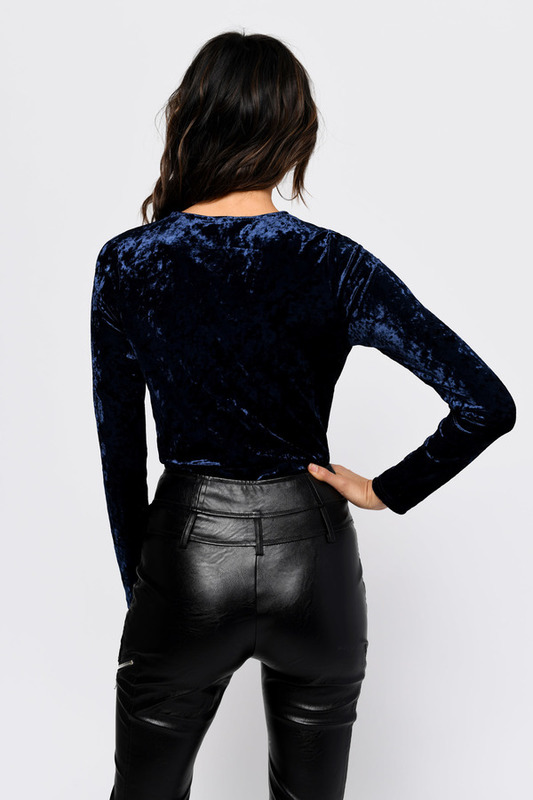 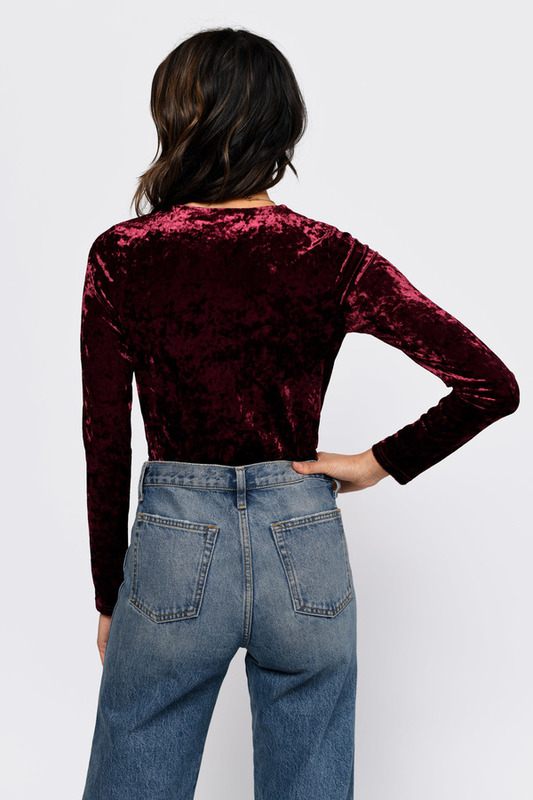 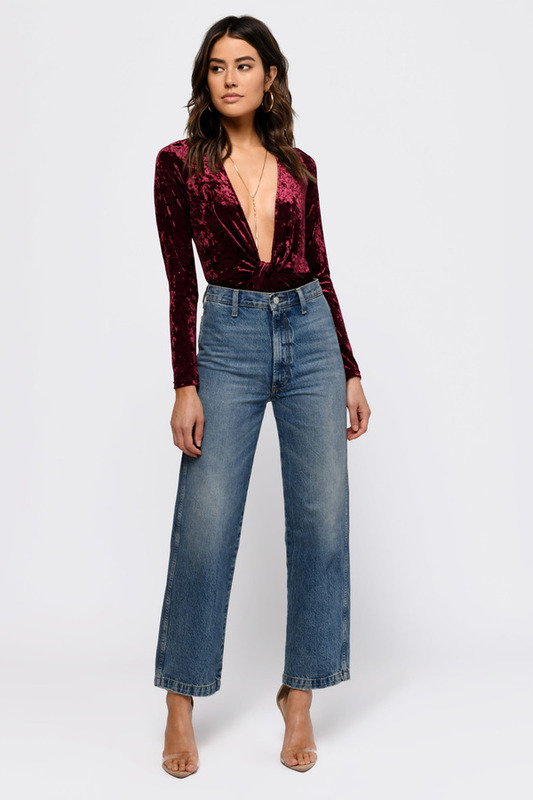 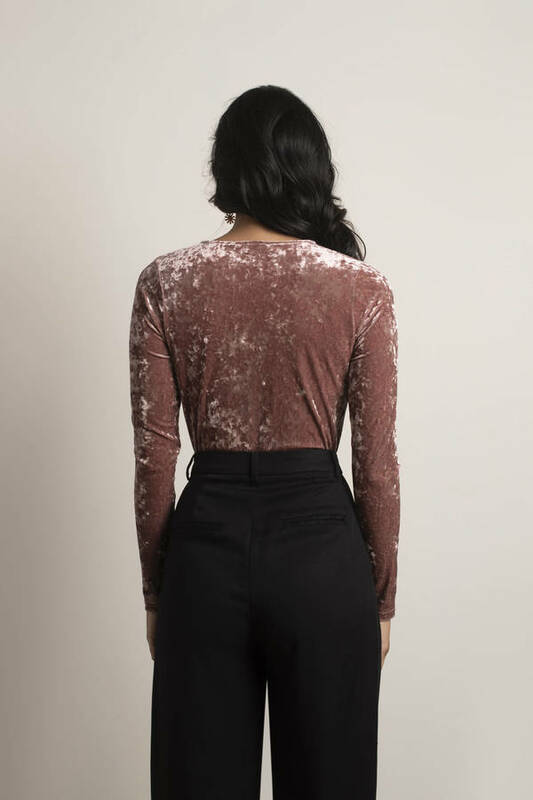 In crushed velvet, this long sleeve party bodysuit is an on-trend pick for nights out this fall.